(S)cientist Mike Czuba has just finished a screenplay version of his play Satie et Cocteau: A Rehearsal of a Play of a Composer by a Poet. The screenplay stays true to the stage version with some cinematic expansions and imaginings of the world of memories Cocteau and Actor are working in. It is an Art Film – but one with an international reach. Satie et Cocteau: A Rehearsal of a Play of a Composer by a Poet is a surreal story of love, betrayal and ambition between a director and an actor battling it out on a theatre stage during the final rehearsal of a play that is never to be performed. Satie et Cocteau is about the classical music composer Erik Satie and his complex, opium-fueled relationship with the surrealist poet Jean Cocteau. Fifteen years after Satie’s death, Cocteau is directing an American Actor in the role of Satie in the play Soyons Vulgaires (Let Us Be Vulgar)*, written by Cocteau in 1939. The action takes place during the final rehearsal, which Cocteau has only called because he feels the Actor does not fully understand the role. We discover that Cocteau’s true intentions are for the Actor to fully embody Satie, to be somehow possessed by him, so he can finally exorcise him from his life. *No original copy of Soyons Vulgaires has ever been found. The events described in the text have been reassembled using the Actor’s own journal written during the rehearsal process. The journal might have been purchased for a dollar from a barn sale in Ohio in 1972 and was only recently re-discovered. The play has been produced in Calgary, AB. 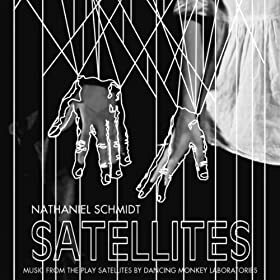 (https://dancingmonkeylab.com/satie-et-cocteau-2012/) and has received staged readings in Chicago and Berlin. It will have it’s American stage premiere in May 2016 in Chicago by Genesis Theatrical Productions. “…a truly excellent piece of theatre which deals convincingly and imaginatively with one of the most fraught love-hate relationships in modern French art. It has real depth and excellent dramatic pacing and is a work of art in itself.” Robert Orledge, Composer and Satie scholar. “I admired the irreverence, theatricality and sheer fun of the piece. I found it to be a very enjoyable read.” Bob White, Director of New Plays – Stratford Festival. ← After Us The Savage God… a new work.